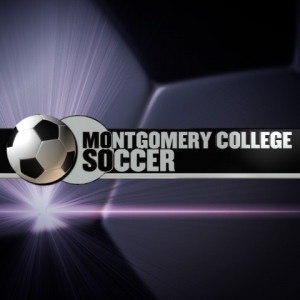 Montgomery College Television Athletics	 Coverage of Montgomery College Women's Soccer, from the Rockville Campus of Montgomery College. Announcers: Michael Brown & Sean Kobrin; Producers: Scott Youngblood & Michael Brown. A production of Montgomery College Television. Montgomery College Women's Soccer: College of Southern Maryland Hawks at Montgomery College Rockville; NJCAA Division III Soccer; taped October 1, 2009. Announcers, Michael Brown & Sean Kobrin. Embed "College of Southern Maryland @ Rockville, 10-1-09, Postgame" on your page. Embed "College of Southern Maryland @ Rockville, 10-1-09, 2nd Half" on your page. Montgomery College Women's Soccer: College of Southern Maryland Hawks at Montgomery College Rockville; NJCAA Division III Soccer; taped October 1, 2009. Announcers, Michael Brown & Sean Kobrin. Features Interview with Dr. Hercules Pinkney, Interim President of Montgomery College. Embed "College of Southern Maryland @ Rockville, 10-1-09, Halftime" on your page. Embed "College of Southern Maryland @ Rockville, 10-1-09, 1st Half" on your page. Embed "College of Southern Maryland @ Rockville, 10-1-09, Pregame" on your page. Montgomery College Women's Soccer: CCBC-Catonsville Cardinals at Montgomery College Rockville; NJCAA Division III Soccer; taped October 1, 2008. Announcers, Michael Brown & Sean Kobrin. Embed "CCBC-Catonsville @ Rockville, 10-1-08, Halftime" on your page. Embed "CCBC-Catonsville @ Rockville, 10-1-08, 1st Half, Part 02" on your page. Montgomery College Womens Soccer: CCBC-Catonsville Cardinals at Montgomery College Rockville; NJCAA Division III Soccer; taped October 1, 2008. Announcers, Michael Brown & Sean Kobrin. Embed "CCBC-Catonsville @ Rockville, 10-1-08, Pregame" on your page. Embed "CCBC-Catonsville @ Rockville, 10-1-08, 1st Half, Part 01" on your page.